The Ultra Series are a professional line of high-lift racing camshafts designed to optimize mid-range to top-end horsepower and torque. Ultra camshafts allow for the broadest power band possible with a seamless VTEC crossover. Skunk2 Ultra Series camshafts are the new standard in engine performance. To ensure the highest levels of performance and quality, all Skunk2 camshafts are designed and tested in house. Ultra Series camshafts feature improved Chill Cast Cores (B and H engines) and Forged Tool Steel Cores (K engines) for increased torsional strength, improved durability and are finished on precision CNC cam grinders. The CNC cam grinders are accurate up to +/- 0.000001” and are equipped with CBN (cubic boron nitride) grinding wheels. 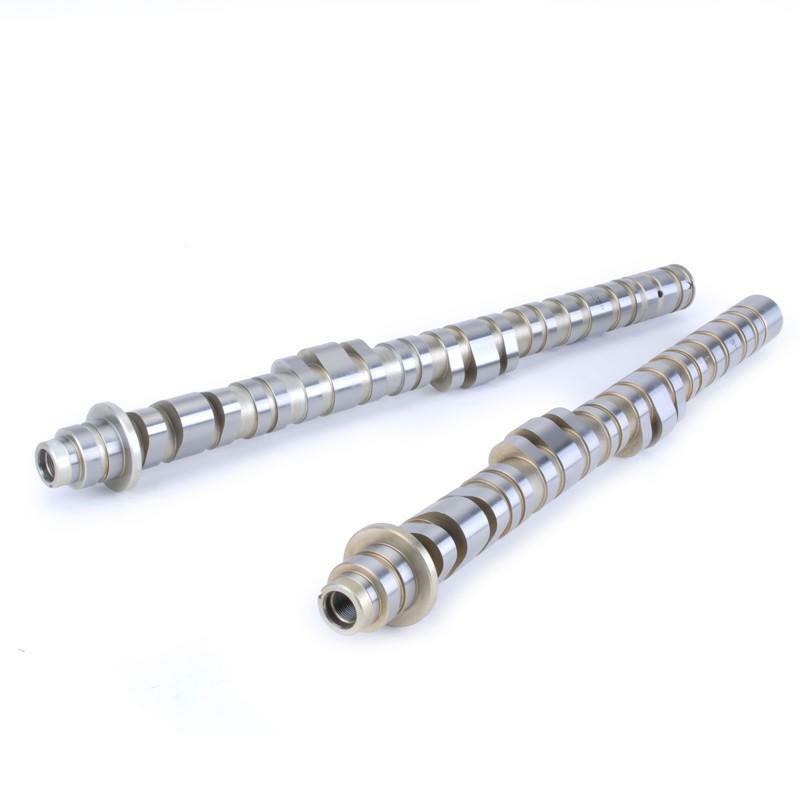 Ultra Series camshafts feature Fast Ramp opening and closing technology that result is higher cylinder pressures, improved torque, better throttle response, and lower emissions. Ultra Series camshafts also utilize AMAX profile technology. This technology results in superior flow area under the valve lift curve when compared to competitor camshafts with the same lift and duration specs. AMAX also allows for valve springs with reduced pressure to be used without sacrificing valvetrain stability. Combined with Fast Ramp technology, AMAX allows Skunk2 to make more torque and power with a significantly wider powerband than their competitors. Skunk2 Ultra Series camshaft designs are the direct result from two decades of engine building experience in drag and road racing. In addition to Skunk2 project cars and race vehicles, the world’s top road racing and drag racing teams have relied on Skunk2 camshafts.